The television coverage of the London Marathon should have been a great inspiration to go jogging on Sunday. Unfortunately I was watching it from behind a hangover, on a sofa quite a long way from home. I did, in the end, struggle out for a run on Sunday, but it was just a desultory jog around the local area, more so that I could say I’d been out than for any other purpose. 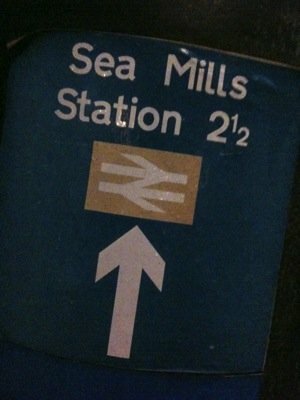 So, I ran to Sea Mills station and back. It was a good run. The rain stayed away and I got to jog along the river at twilight, which is always nice. I also put some music on, instead of the podcasts I’ve generally been listening to while running recently. Back when I started running, I listened to music all the time. Speech Debelle’s first album, Speech Therapy , got me through a lot of my early runs. So, a bit of a wobble last week, missing a run and being too hungover for any distance on Sunday, but this week is off to a good start 😀 I’ll try to get out again on Thursday, I reckon.